View basket “Ultimate Diver’s Log Book (Mini) (Full colour 50-dive diving log book)” has been added to your basket. Great-looking, colourful book-format easy-to-use scuba diving log book for 50 dives. The Ultimate Diver’s Log Book (Mini) is the colourful 50-dive log book. This is a thoughtfully-designed, paperback book-format scuba diving log book. Two colourful pages per dive. Log depths, times, buddies, gases and consumption. It contains boxes for all the essential details a sport diver might like to record in a clean simple layout. Each dive gets a two-page spread to record all the dive site information. There is an area to log kit details the diver might want to refer to again. There is scaled graph paper (time/depth) to record dive profiles or use however you wish. Almost a whole page is available for sketches, notes and stamps. As with the larger Ultimate Diver’s Log Book there is the innovative Visibility Scale – a range of colours from which to pick the water colour and compare with the visibility. There is also room at the front for personal details and lined pages at the back for additional notes. 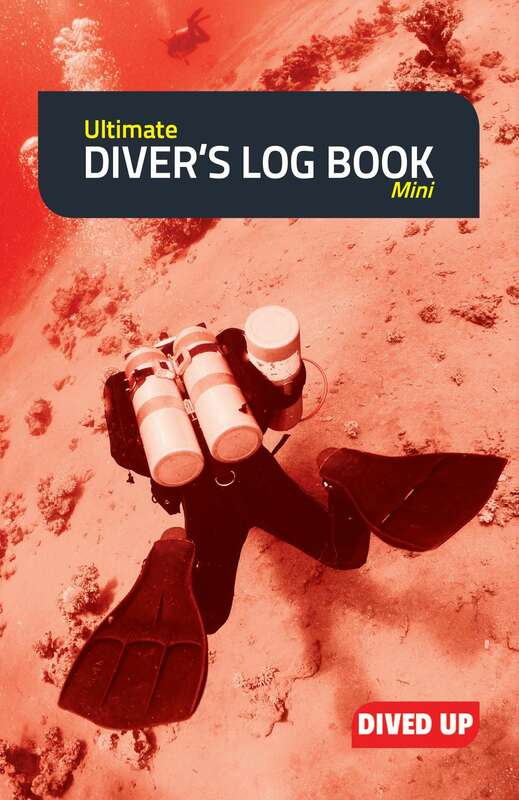 For recreational divers this is the Ultimate Diver’s Log Book (Mini! ).